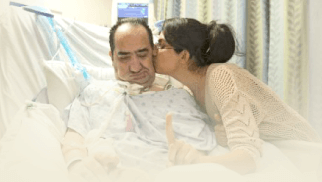 YOUR INTENSIVE CARE HOTLINE - MY PARTNER IS IN INTENSIVE CARE AFTER A BLEED ON A BRAIN! WE ARE WORRIED THAT THE INTENSIVE CARE TEAM WANTS TO SWITCH OFF THE VENTILATOR! HELP! My partner is 44 she had a brain bleed and she is also a dialysis Patient and has been for about 2 years. She is on the ICU and is being assessed on the Glasgow point system she raises her hand to command most of the time and squeezes a hand. Also, she has only today and for a split second only opened her eyes but not to command. We are worried that the Intensive Care team is looking to switch the ventilator off! All was looking good on last Wednesday when we talked with the Intensive Care team, but Thursday out of the blue a Neuro doctor told us that there was a pin size area on her brain stem damaged, which means she is highly unlikely to wake up! The brain bleed was on 10/12/2014 and my partner was rushed to hospital and operated on that night following deterioration. She still has the tube down her throat and has only had a CT scan before the op and again last Wednesday. Also she has been on treatment for an infection, could this be a factor? I’m not sure what to ask but any advice would be appreciated. Also do you know about the area on the brain stem being talked about or where we can find information to help us? I am very sorry to hear what you and your partner are currently going through! Head and brain injuries, including spontaneous bleeds on the brain can be some of the nastiest diseases one can ever encounter in Intensive Care! And rule number one is, do not give up irrespective of what the Intensive Care team is telling you! Your biggest challenge from what I can see is to see any positive signs, as you have only had negative and challenging news so far! As a first step I would strongly recommend to work on your mindset, which needs to be more positive! This can be challenging, especially when you are facing such devastating and challenging news like you have in the last few days! Here is a link to an article that will help you to stay focused and positive! Next, you need to stop buying into the mindset of the Intensive Care team who is talking about “switching off the ventilator”! It sounds to me like you are half way there anyway, because otherwise you wouldn’t be reaching out for help and you wouldn’t be doing your own research! Also, as it relates to the Neurology or Neurosurgery team who is referring to a “pin size area on her brain stem damaged, which means she is highly unlikely to wake up!”, you should be solely focusing on the positive signs in your situation which is that your partner has had her eyes open, even if only for a split second. 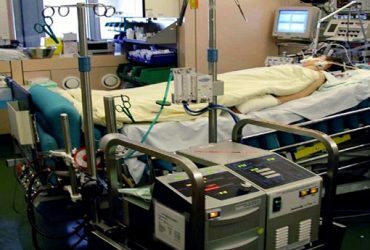 Critically ill Patients after head or brain injuries, including spontaneous bleeds on the brain, who have been in an induced coma, can take a very long time to “wake up”. Critically ill Patients with severe head or brain injuries, including spontaneous bleeds on the brain tend to take a lot longer until one might see signs of “waking up”! Therefore Intensive Care teams tend to be quick to point out that “switching off the ventilator” or in other words a “limitation of treatment” or a “withdrawal of treatment” might be “IN THE BEST INTEREST” of your partner! This is ludicrous from my perspective given the young age of your partner! The Intensive Care team should move “heaven and earth” to get your partner out of Intensive Care alive and send her to rehab, period! The positioning of the Intensive Care team in those challenging and also “ONCE IN A LIFETIME” situations is more often than not a direct result of what’s happening “BEHIND THE SCENES” in Intensive Care! What’s happening “BEHIND THE SCENES” in Intensive Care is often by far more powerful and by far more important for the Intensive Care team than what’s happening clinically! The politics, the hierarchy, the power play and power struggles, the dynamics, the competing interests, the intrigue and the psychology in Intensive Care often have a massive impact on how the Intensive Care team is positioning your critically ill loved one’s diagnosis and prognosis! The medical research interests, i.e. is your partner falling into a medical research category, where the Intensive Care team can conduct medical research that attracts multi- Million Dollar $$$ funding per year? If your partner doesn’t fall into a medical research category then the Intensive Care team might be quick in pointing out that “switching off the ventilator” might be “IN THE BEST INTEREST” of your critically ill loved one without disclosing their real interests! Their reluctance to make the emotional commitment to invest fully into your partners recovery in Intensive Care! Getting critically ill Patients with severe head or brain injuries, including spontaneous bleeds on their way to recovery can often take considerable physical and emotional resources! Depending on the culture of the Intensive Care team or the culture in the Intensive Care unit, they may not be prepared to “invest” their physical and emotional resources! You therefore need to be prepared to stand your ground, irrespective of the agenda the Intensive Care team is driving! As it relates to your question about your partners brain stem and the “pin size area on her brain stem damaged, which means she is highly unlikely to wake up!”, which the Neuro team has been referring to. I am not a doctor and I am not medically qualified, so I can’t answer your question as it relates to the brain stem, however your biggest leverage point thus far is to look at your partner having opened her eyes! This is what you should be basing your judgement upon! What’s also incredibly important for you to know is that whenever the Intensive Care team is suggesting a “withdrawal of treatment” or a “withdrawal of life support” as being “IN THE BEST INTEREST” of your critically ill loved one, it’s often a very short sighted view and it only focuses on their specialist and limited views about Intensive Care! Intensive Care team are the specialists about Intensive Care but they are no specialists about what’s happening outside Intensive Care! The minute a Patient leaves Intensive Care, Intensive Care teams have no idea what’s happening from there! Therefore, the Intensive Care team’s view is a perception about what might be happening outside of Intensive Care! Your job may well be to talk to the Neurosurgeons or Neurology in order to find out Rehabilitation opportunities for your partner! You may have to bypass the Intensive Care team and take matters in your own hands and you may have to look further in order to also show the Intensive Care team that you are prepared “to do whatever it takes” to get your critically ill loved one out of Intensive Care! Don’t buy into the “doom and gloom” of the Intensive Care team! I hope that helps Andy! Please let me know if you have anymore questions! Wishing you and your partner the very best! 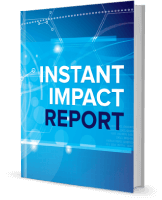 You get to that all important feeling of PEACE OF MIND, CONTROL, POWER AND INFLUENCE when you download your FREE “INSTANT IMPACT” report NOW by entering your email below! 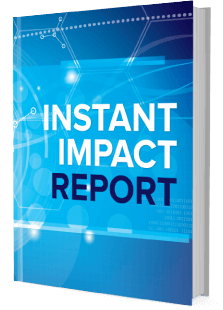 In Your FREE “INSTANT IMPACT” report you’ll learn quickly how to get PEACE OF MIND, real power and real control and how you can influence decision making fast, whilst your loved one is critically ill in Intensive Care! My mother went into cardiac arrest after a heart attack! 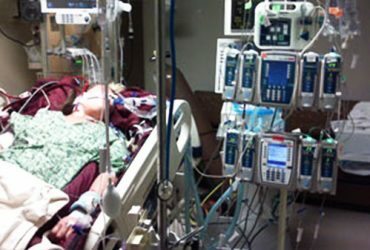 She’s been in ICU for 1 week, has brain damage and is not “waking up”, what should we do? 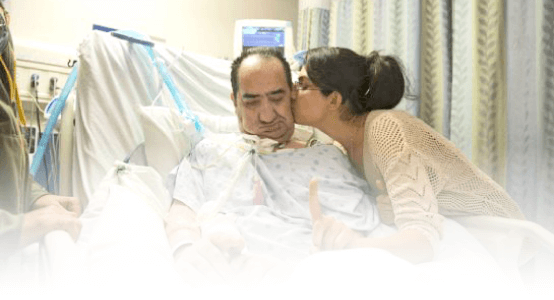 How long can a critically ill Patient stay on life support? A FAMILY MEMBER OF OURS IN HIS THIRTIES IS DYING IN INTENSIVE CARE AND WE’RE NOT SURE WHETHER IT’S THE ONLY OPTION, PLEASE HELP! My Mum has been diagnosed with STOMACH CANCER and is in ICU ventilated. CAN I TAKE HER HOME on a ventilator? My father is in Intensive Care ventilated with LIVER FAILURE and KIDNEY FAILURE, I DON’T THINK HE WILL SURVIVE! HELP!